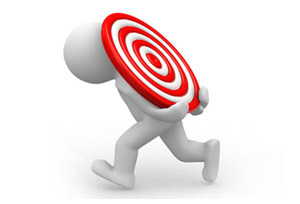 Workplace Bullies vs Difficult People: The Difference? Valerie is a fantastic speaker! Valuable information; provides actual tools to use. Very engaging presenter! – Relevant and kept the interest of 800 people! Valerie is an engaging speaker who delivers a great message - very humorous as well! Truly a vast source of knowledge about workplace bullying and what to do about it. Appreciated the exceptional delivery and not the boring academic approach – refreshing! Valerie clears up misconceptions about who/what a bully is and how to deal with it. Engaging and the stories were heartfelt and humorous - kept my attention the entire time! Valerie’s knowledgeable on the issue; very vibrant; and an outstanding communicator! You will enjoy Valerie’s session and go home with solutions. Excellent applicability! A real eye opener to make a positive change. Everyone should experience this session. Open, honest, real, relevant - Valerie understands the real issues at work and what to do. The best I've seen! Valerie has thorough knowledge with a genuine interest to help. The best speaker we’ve ever had! Great stories for explaining examples for situations. There is hope! Very empowering information I can use. I feel like I can change my corner of the world. You will be emailed your own individual eBook! Have You Considered Bully Free at Work’s Online Learning? 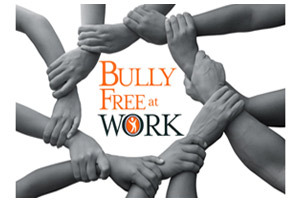 Now you can experience Bully Free at Work in an online learning format. Perfect for training all of your employees, when you want, as much as you want without missing anyone in attendance. This cost effective training is great for anyone who wants to train his or her entire organization or department in a relevant, engaging and practical way. Valerie Cade personally delivers the Bully Free at Work online learning…you will be inspired, informed and transformed!